NOTE: This demo was done with version 1.0 of this patch pack. Scroll down to the changelog to see how we’ve improved it. 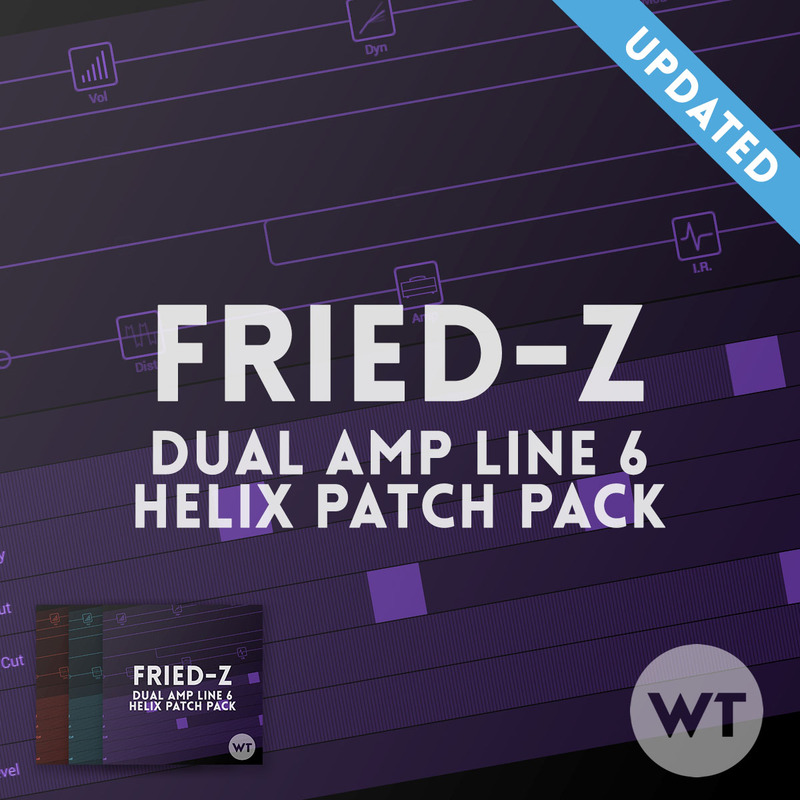 Fried-Z Dual (stock and IR versions): These patches include both the Friedman and Dr. Z amp models in a dual amp setup. Fried (stock and IR versions): These patches include just the Friedman amp. DocZ (stock and IR versions): These patches include just the Dr. Z. The effects layout and snapshots are similar between all the patches – although settings have been tweaked to sound best with each setup. Feel free to experiment. We don’t think one sounds necessarily better than the other – just different. The Friedman has more of an American sound while the DocZ has more of a British sound. Snapshot 1: CLEAN – This is the base clean tone with quarter note delay. Snapshot 2: CLEAN VERB – more reverb. Snapshot 6: THE EDGE – dotted 8th and quarter delay together with a bit of drive. Snapshot 8: SWELLS – this uses the ‘Swells’ stomp button plus more verb and delay. We’ve included three overdrive pedals: the EP Booster, 808/Timmy, and Boss SD-1. Ycan stack them for bigger sounds. If you want to go really ambient with swells, the ‘Swells’ switch turns on the Cosmos echo and the shimmer verb. It will sound huge and create big pad type sounds, especially when used in combination with the other big reverb. If your guitar has traditional output Humbuckers, try the following changes (we recommend making a copy of the original patch.